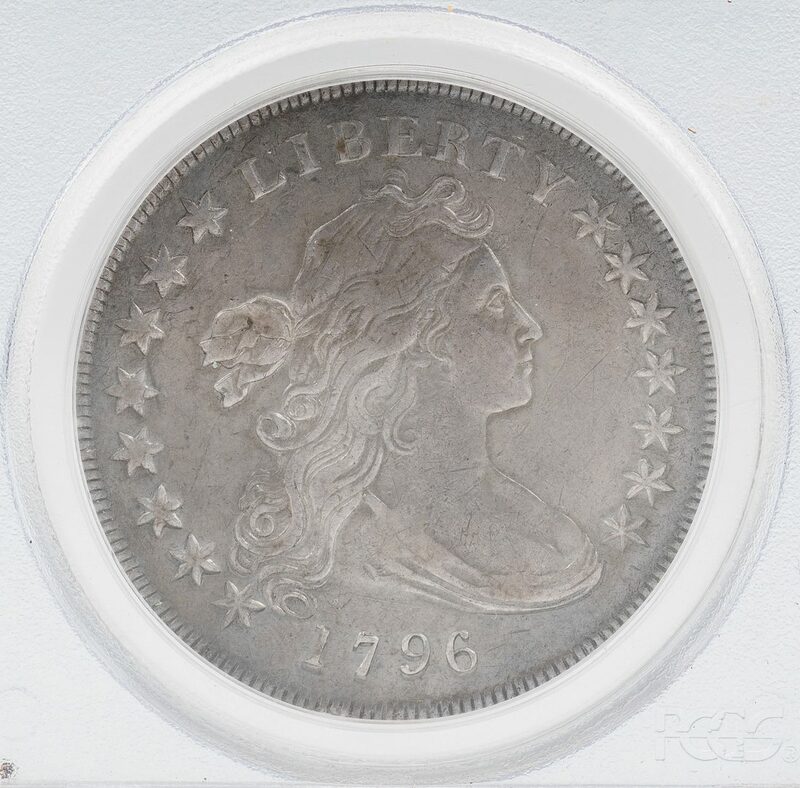 1796 United States Draped Bust silver dollar coin. 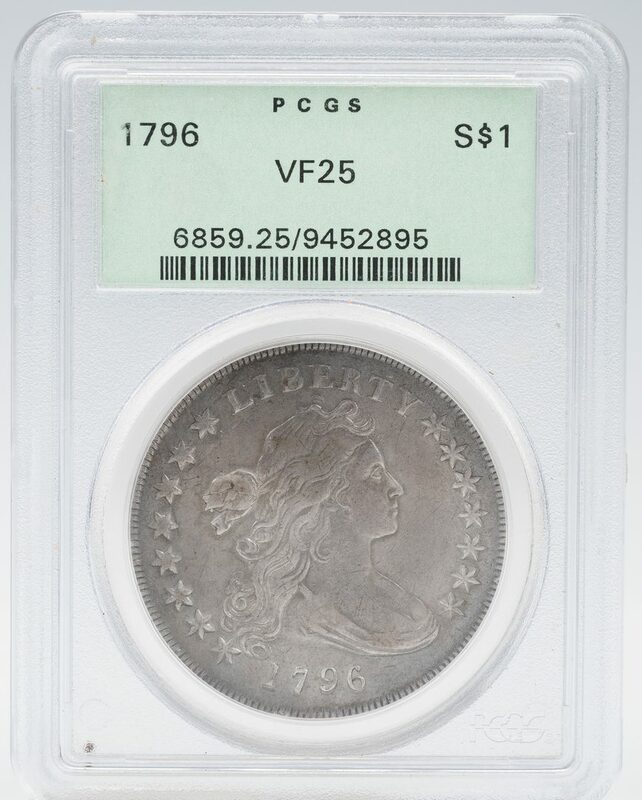 Depicts the bust of Lady Liberty, obverse, and the American bald eagle encircled by a laurel wreath, reverse. 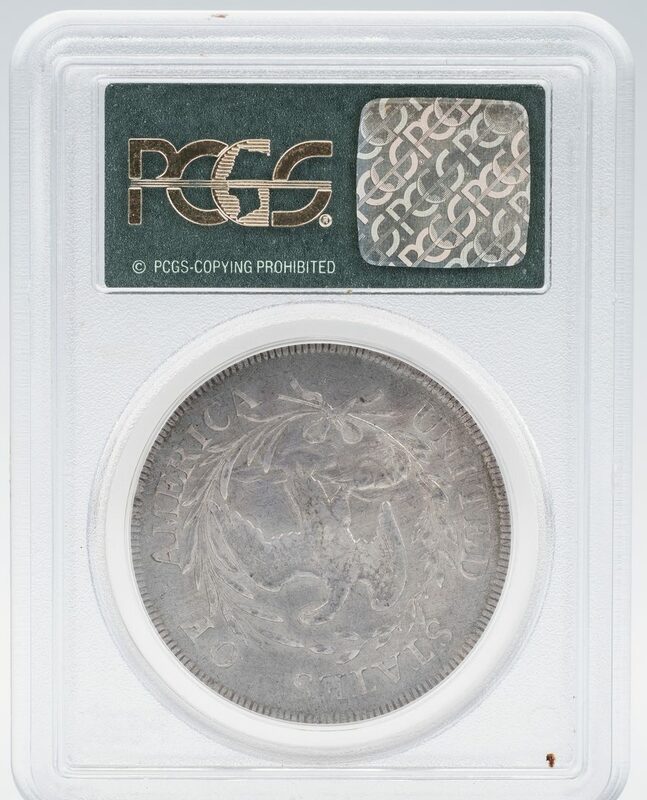 PCGS graded 25/Very Fine. Note: While the identity of the Lady Liberty model is unknown, it has been suggested that Philadelphia socialite Ann Willing Bingham posed as the model. (See: Julian, R.W. (1993). Bowers, Q. David, ed. Silver Dollars & Trade Dollars of the United States. Wolfeboro, New Hampshire: Bowers and Merena Galleries). Provenance: the estate of Celia (Cece) Webb, Nashville, Tennessee. 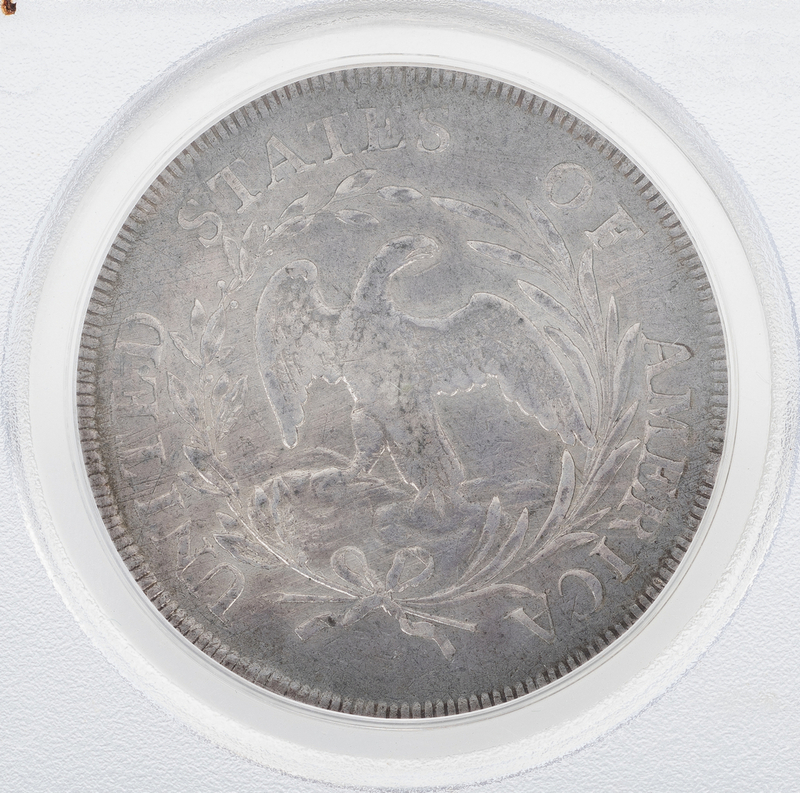 CONDITION: PCGS graded 25/Very Fine.